Joyce Nelson of Dugan Road Creamery in Urbana admits that she prefers the micro-dairy life, as opposed to her previous dairy farm. And with low milk prices and high feed costs, who could blame her? 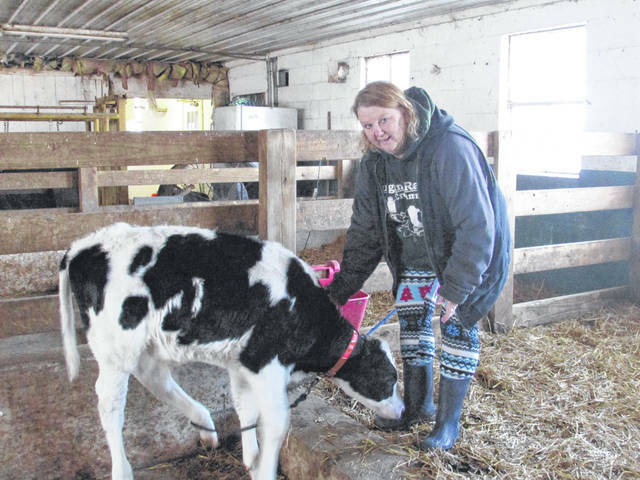 https://www.urbanacitizen.com/wp-content/uploads/sites/36/2019/01/web1_JoyceNelsonandAdamCow.jpgJoyce Nelson of The Nelson Family’s Dugan Road Creamery tends her calf Adam.